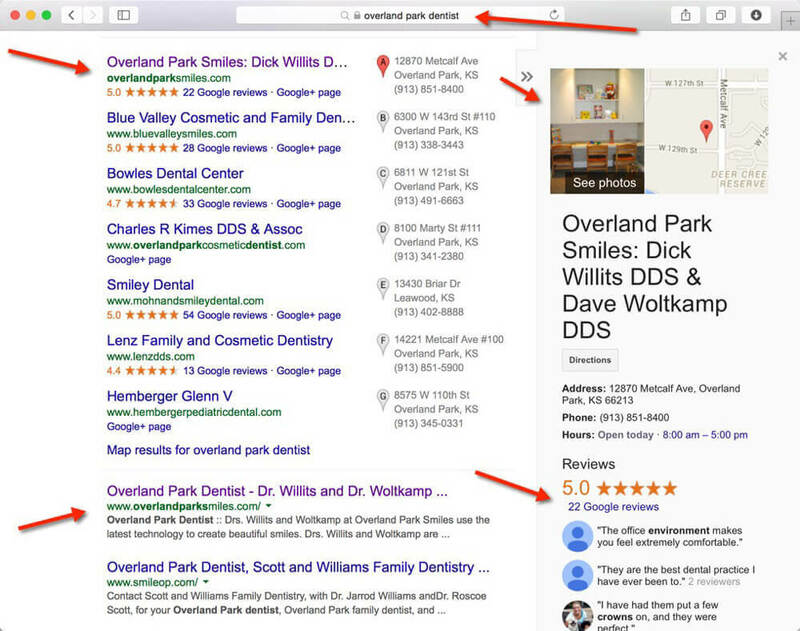 Nearly 80% of US households use the Internet when searching for a dentist in their area. Google is by far the most popular search engine holding 86% of the market. Our world-class search engine optimization (SEO) team provides excellent optimization service and has a 97% success rate at getting our clients websites listed on the FIRST page of search engines organically. The secret to our success is that we use a COMPREHENSIVE approach, which includes dozens of important things, not just what ever is "trendy" at the time. The problem with doing only what is trendy is that it usually fails, and does not provide long term success, since Google requirements are constantly changing. 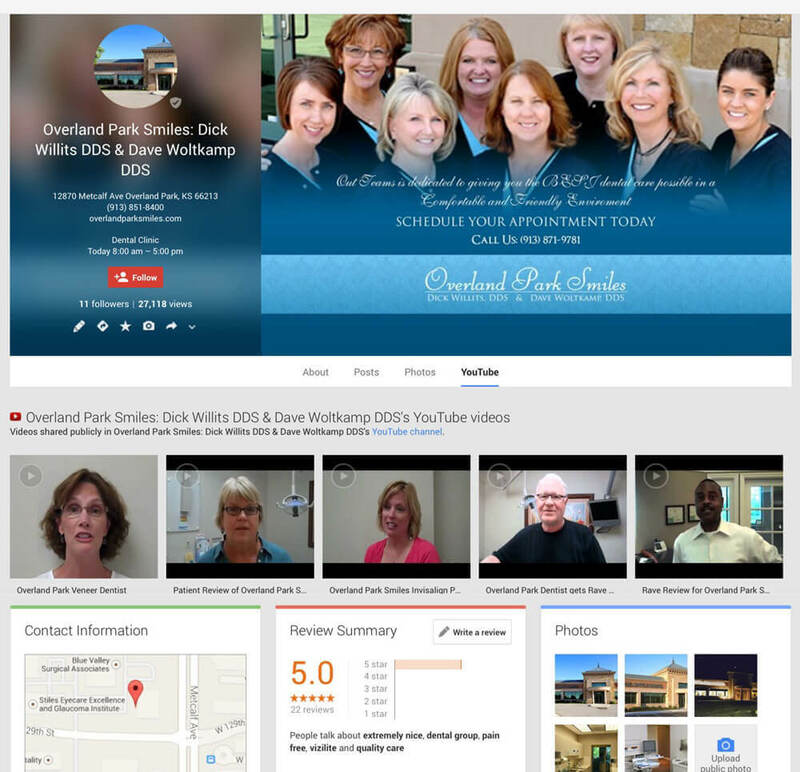 We provide excellent Local Search Marketing services that increase traffic to your practice website. 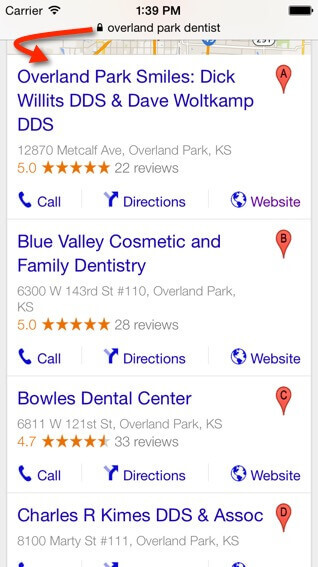 Local search results appear when search engines display "geo-targeted" information. Do a live search on Google using the examples below. Make sure you are not signed in to Google so that you can see accurate search results. As you can see, not only are these websites listed on the FIRST PAGE organically, but they are also listed in the GOOGLE PLACE / MAP LISTING as well. 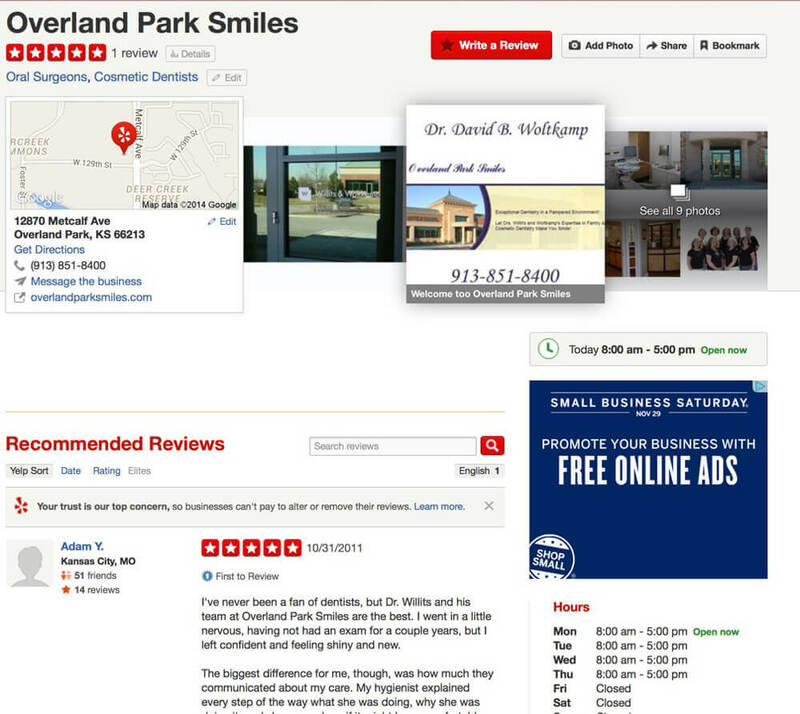 From the map, you can visit the dental practices' website, get driving directions, and even read reviews from other patients. Beware of SEO Internet Scams - Click here to read our friendly warning, so you don't fall victim to a "seemingly reputable" scammer. Call us at 888-906-1667 to learn more about our aggressive and comprehensive Internet marketing strategy that attracts new patients.